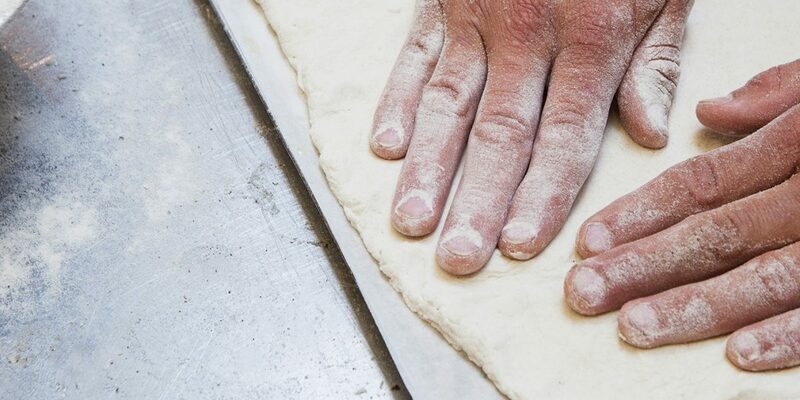 We are extremely proud of our bread, which we have been baking on site since 1976. 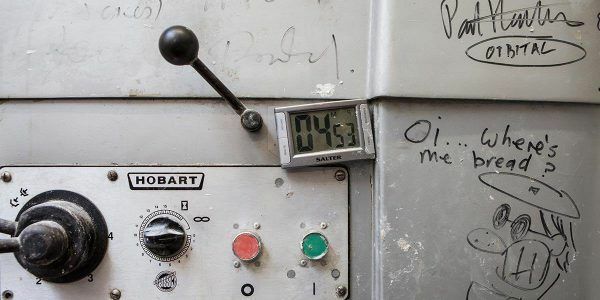 Since those early days our range has expanded but the bakery still thrives on its original aims of producing additive free, freshly baked goods from organic ingredients. Today as always, our team of eight skilled artisan bakers are committed to using traditional methods. 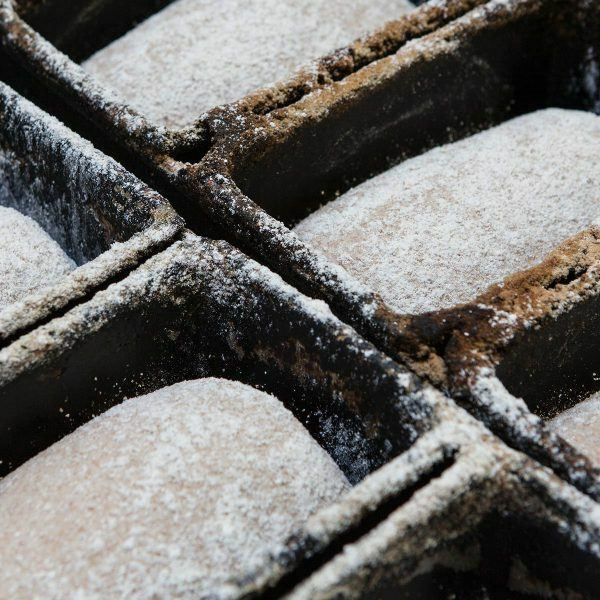 For example, the use of natural leavens in our sourdoughs allows a fuller flavour to develop and makes the bread more digestible by reducing the need to add bakers’ yeast. Everyday there is a wide variety of mouth-watering breads available. As well as using traditional methods, we also opt to use many older strains of wheat and grains, such as Spelt, Khorason and Teff, which are often tolerated by people who may have difficulties with modern hybridized forms of wheat. Our Tapioca and Rice Flour bread is made to our own unique recipe and is extremely popular with our customers who are avoiding gluten in their diet. These same ingredients can also be found in a few of our recipes from a range of both savoury and sweet sundry items, which includes pizza slices, chocolate brownies and muffins. Just good ingredients, combined with skill and patience. Sourdough is a type of bread that has been made with naturally occurring yeast, as opposed to a manufactured bakers’ yeast. The process for making this relies on a ‘pre-ferment’, also referred to as starter, levain, mother, chef or sponge. Essentially all these things are a fermentation of flour and water which is added to the dough to assist it to rise, or ‘leaven’. Levain is a culture made from flour and water which is left to ferment. It is also sometimes referred to as a starter or mother. It can be made from most types of flour depending which type of bread is being made. Levain is a living culture which needs regular ‘topping-up’ or ‘feeding’, with fresh flour and water, or the fermentation process will die. 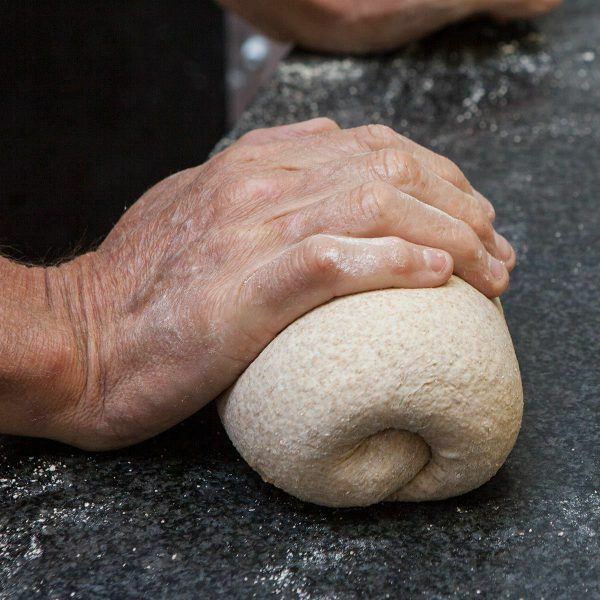 It is a traditional method of creating a ‘rise’ in breads, eliminating the need for manufactured yeast. 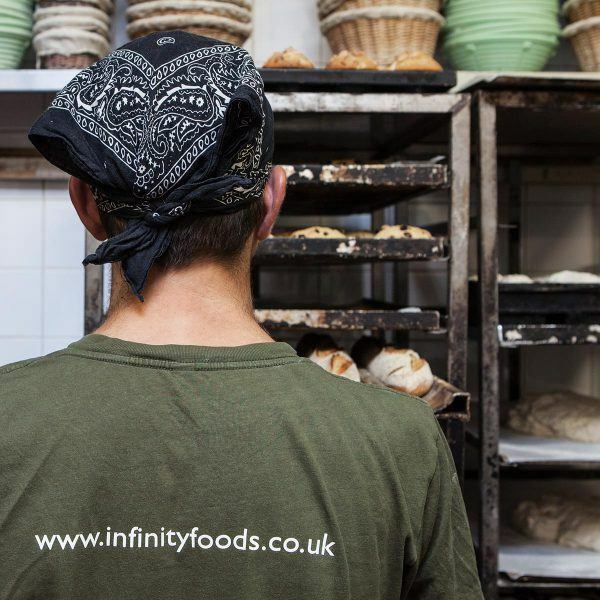 Keep up to date with all the happenings at the Infinity Foods Bakery, via our Twitter.